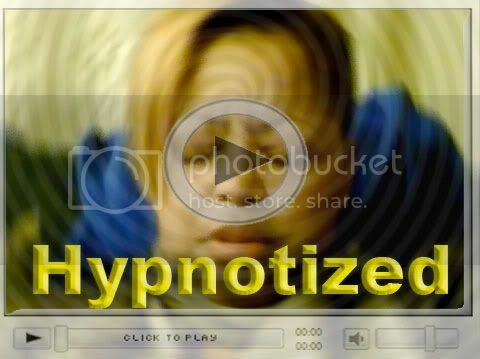 Watch as Donna experiences her eyelids stuck shut and cannot bend her arm after the hypnotic induction. These are not only great ways to demonstrate the hypnosis process that is occurring to those whom are watching, it also allows the person experiencing hypnosis witness a new belief in their subconscious over power any conscious effort given to resist it. This clip below is the first 10 minutes of a 30+ minute session. The entire show is below where we talk more on the subject before she is induced into trance. The session continues where Donna was able to experience "name amnesia," (she couldn't remember her name) although this was after the allotment of time on the radio show and video. On a show 2 months preceding this one I also gave the hypnotic experience to her husband Daddy Man to help him with imbed the of philosophy Earl Nightingale and Bob Proctor at a subconscious level.